By the weekend, we were ready to tackle the hard courts. 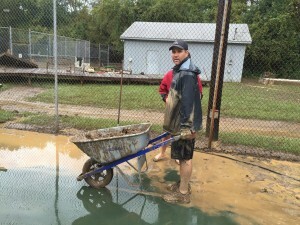 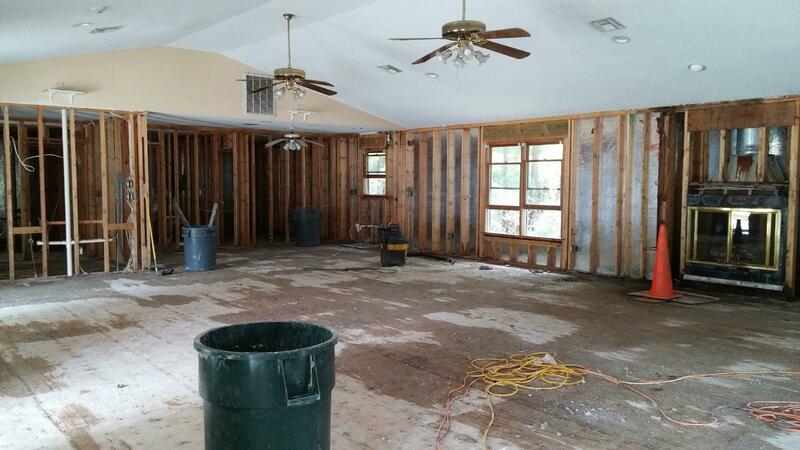 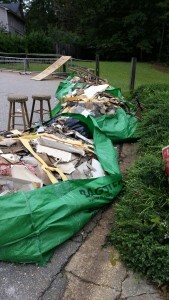 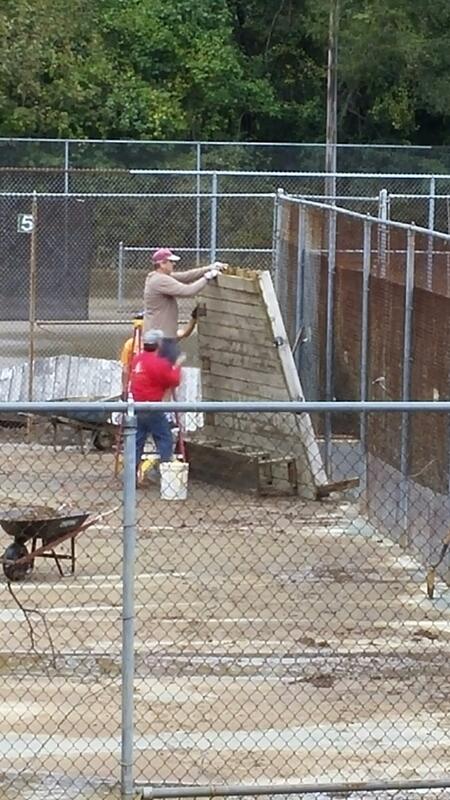 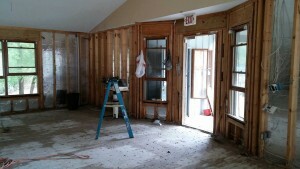 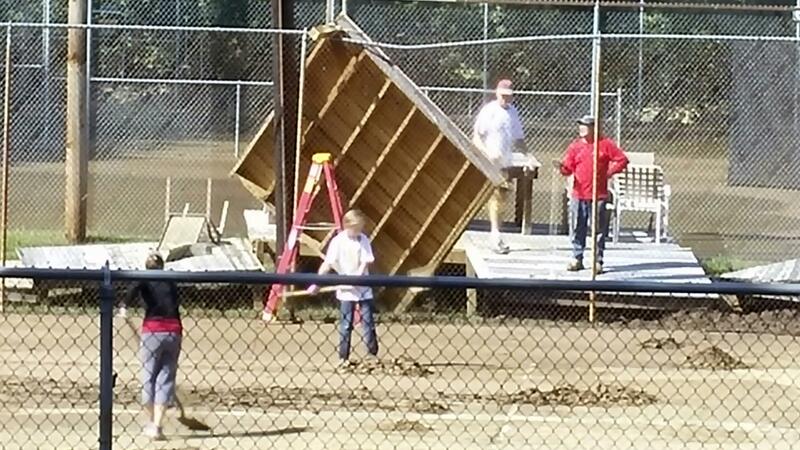 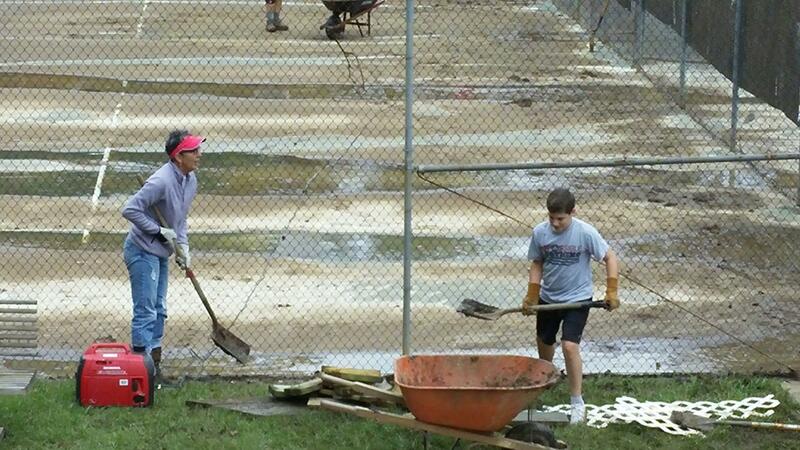 Covered in mud, it took dozens of volunteers two full days to clear the courts. 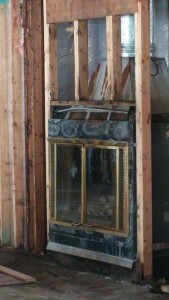 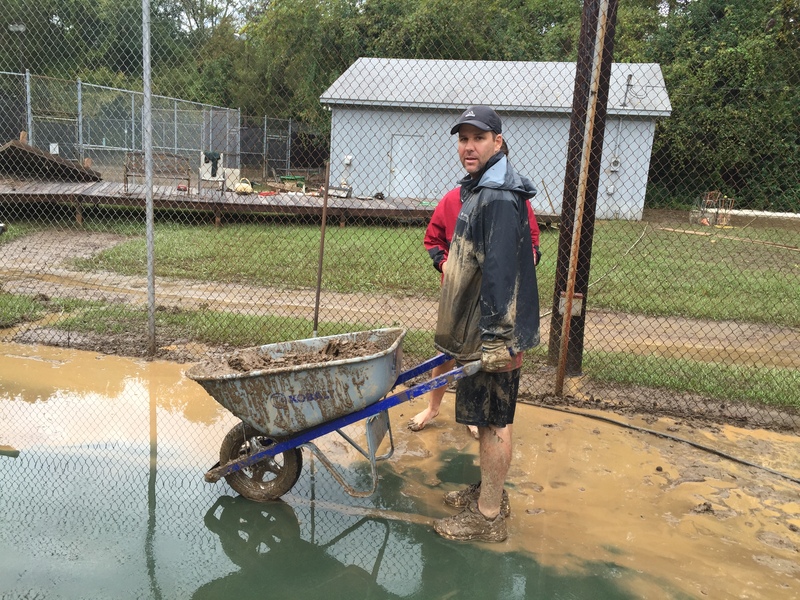 First, the mud had to be shoveled into wheelbarrows and dumped in the woods. 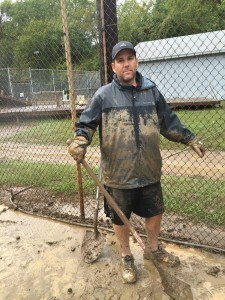 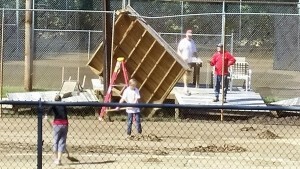 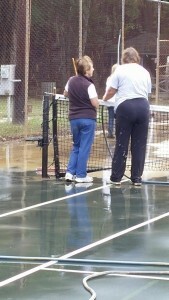 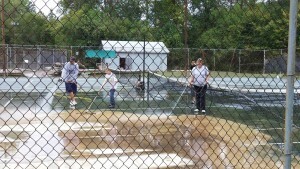 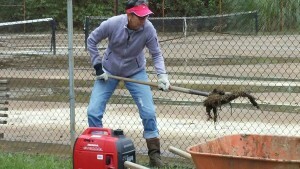 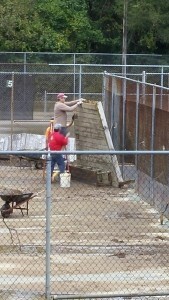 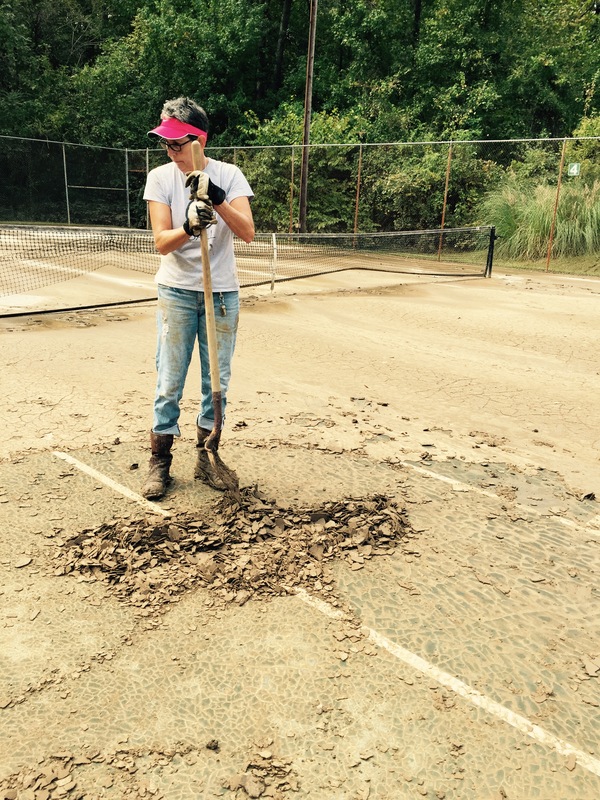 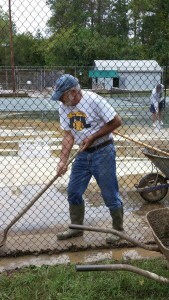 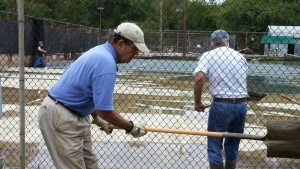 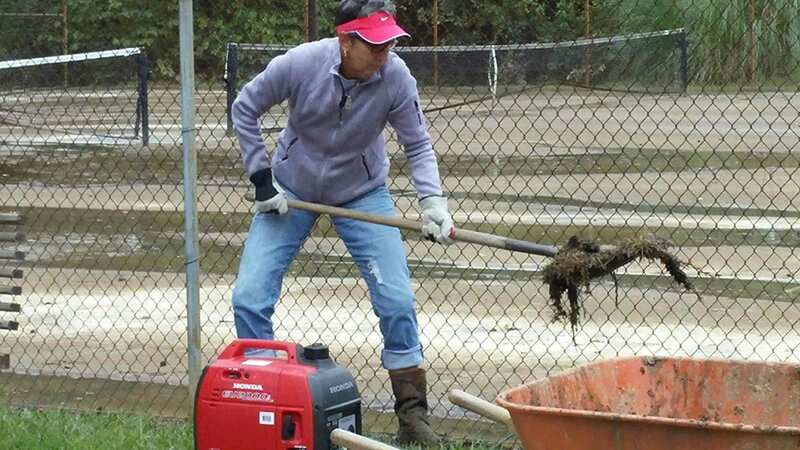 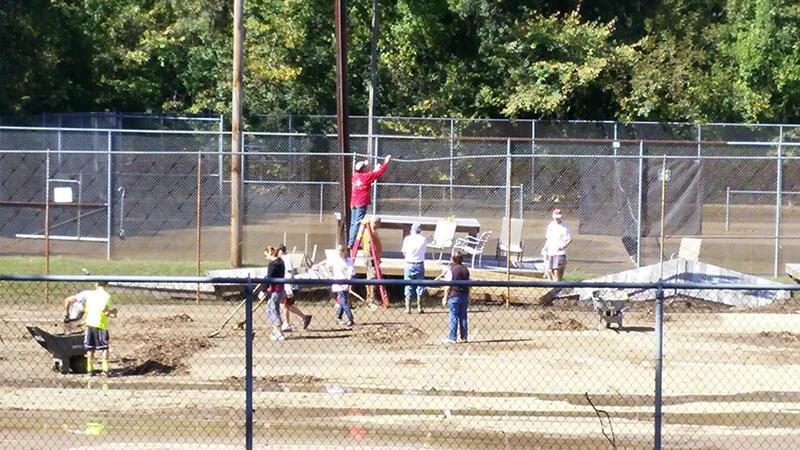 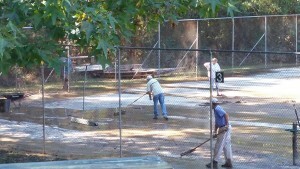 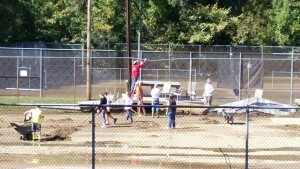 Then, teams worked together with hoses, pressure washers, brooms and squeegies to push the mud and water off the courts. 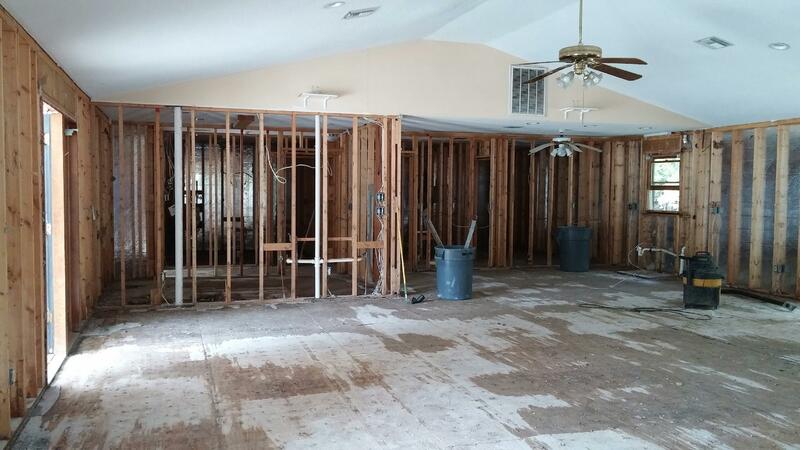 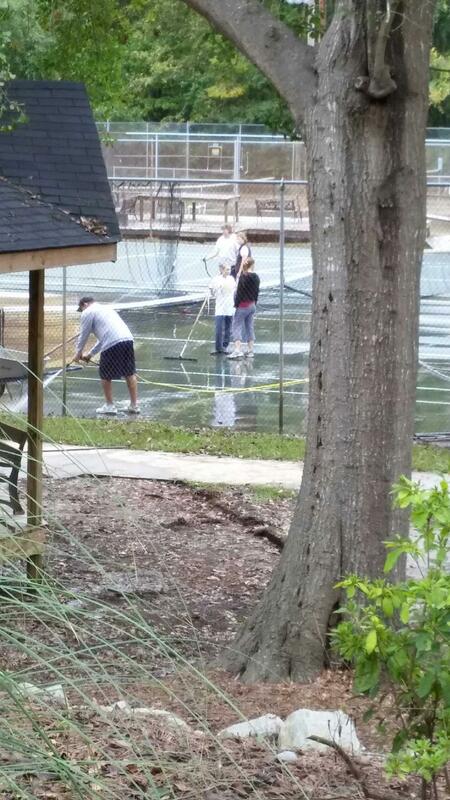 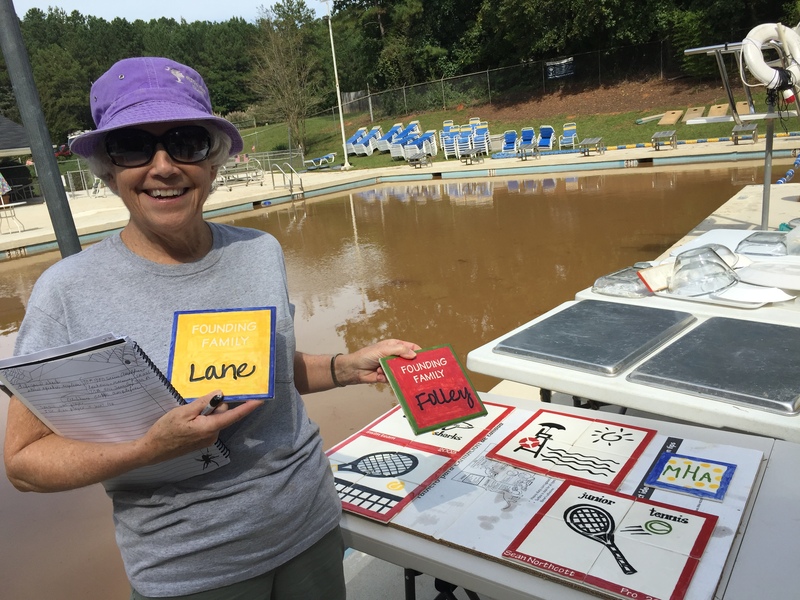 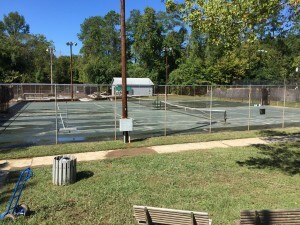 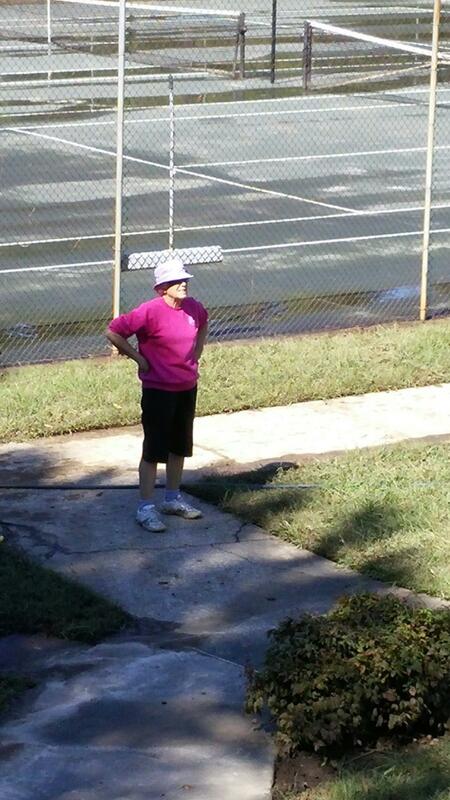 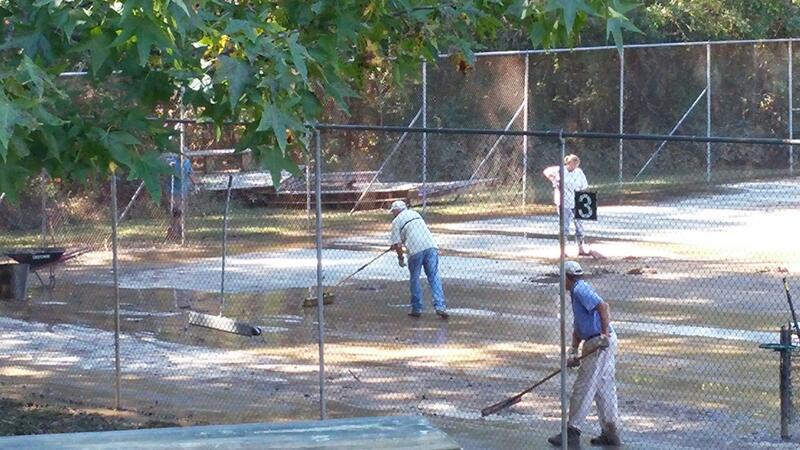 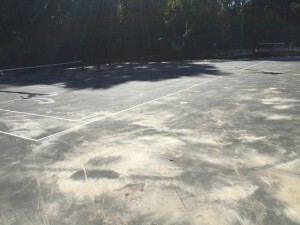 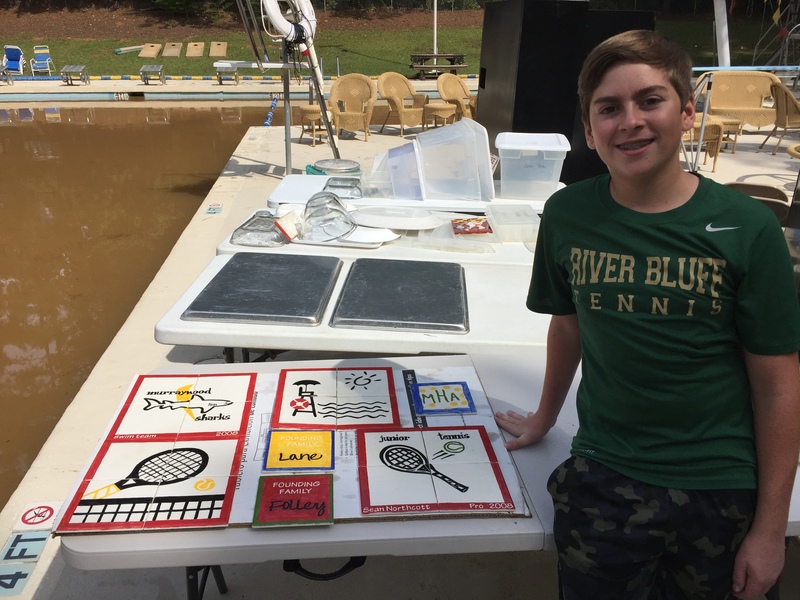 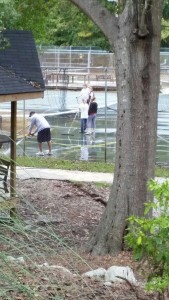 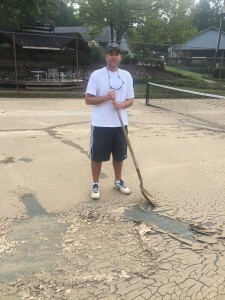 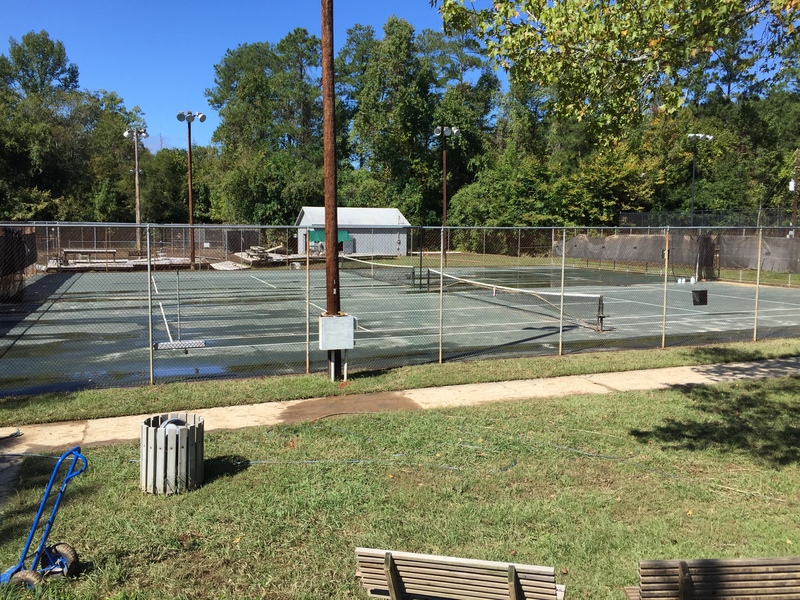 By Sunday night, the courts were clear, and Murraywood members could play tennis once again…a mere week after the flood! 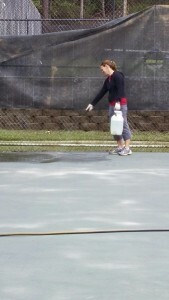 Up Next: Cleaning the Clay Courts!